Last November, I decided it was time to rethink the experience of giving. As a chief executive and single working mother of three, I work hard to be a guidepost for personal values.And so I give.But last year I decided to put away the ball gown for a night and test a new model of corporate giving.This time last year, I spent a night sleeping on a bitterly cold concrete street in Southeast Washington. The goal was to raise money for homeless teens, many of whom were the same age as my oldest son.I’ll never forget the way the cold pierced through all of my layers straight to my bones.I felt awful. I never fell asleep completely. The noise, the voices of strangers, the thought of rats and all the activity of the night became frightening and I felt exposed. In a few weeks, I’ll do it again. Many of these young people in crisis turn to shelters such as Covenant House Washington, which gives them a safe place to sleep, a hot meal, counseling during a time of crisis, workforce and education training, and above all—the opportunity for a restart. Until I participated with other business leaders in Covenant House’s Executive Sleep Out, it was hard for me to fully grasp the issue. Perhaps I took for granted the basic needs that I provide for my own children: a safe home, warm beds, healthy meals, and clean clothes for school. So many kids in our city won’t receive those things today. It’s easy to think of homelessness as a faceless issue. We in the corporate community can change that. Join me on Nov. 21 on the streets of Southeast to experience for one night the cold reality of the many homeless young people in the District. Take a stand with me for an issue that is growing in urgency right here at home. Be a model in giving—for your colleagues, for your children, and for your community. While one night of sleeping out hardly compares to what homeless kids go through every day, I know from experience that this one night has far-reaching benefits for our young people, and our community at large. If you can’t sleep out, find your own way to help. Be a mentor. Write a check. Tell a colleague. Just don’t turn the page without doing something. As leaders of this business community, we can all point to a person that set us on our own path to success. Now is the time to be that person for someone else. 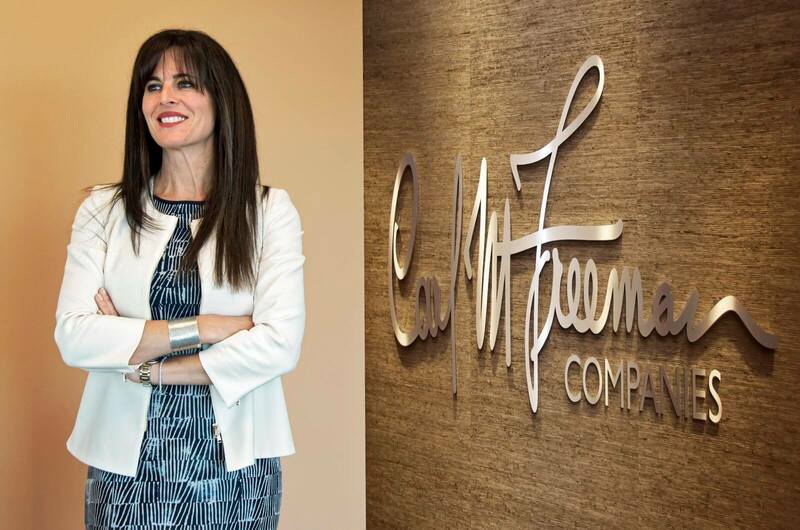 Michelle D. Freeman is president and chief executive of the Carl M. Freeman Cos. and heads two family foundations. She also is a minority owner of Monumental Sports & Entertainment, which owns Verizon Center, Washington Wizards, Capitals and Mystics.